Talking about putting one foot in front of the other. I’m not bragging or anything; just stating a fact. I truly dislike bananas. I always have. I know they’re very good for me and I wish I could eat one. I honestly don’t think I have ever managed to eat an entire banana by itself (that is, not in some other food). 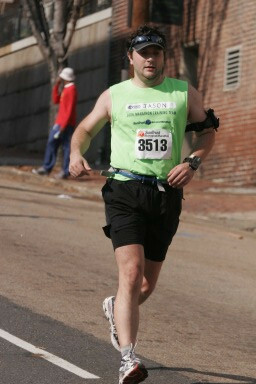 The 2006 Richmond Marathon was the third (and last) marathon I ran. It was exceptionally hot that day, with temps around 80° in November. The last 10k was really rough on me and I knew I was in desperate need of some nutrition after the race. I sat down on a curb in Shockoe Bottom with a banana and a bagel, thinking that the banana was exactly what I needed. I managed to get about half way through it, forcing every bite. Then it occurred to me: I’d rather risk serious injury or death rather than eat an entire banana. Like I said, I really dislike bananas. Always have. None of this changes the fact that bananas are excellent to eat after strenuous workouts or runs. I still know this and I’m quite pleased that I finally found an easy recipe that I enjoy to have after working out. It does have quite a lot of sugar, but you can substitute water/ice for the juice to reduce that by about half. 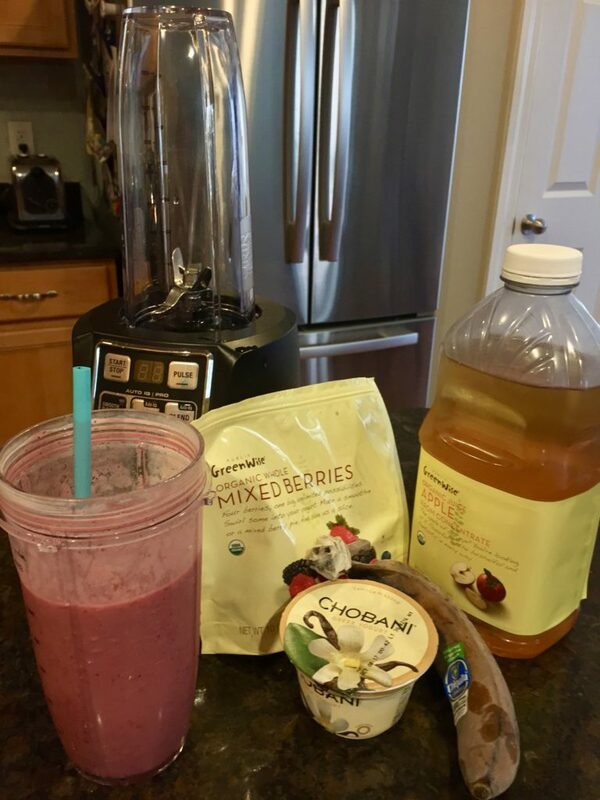 Pour the juice, berries, and yogurt in your blender cup. Use a butter knife to slice the skin off a couple of sides of the frozen banana. It comes off very easily, even when frozen & you can just cut off slices into the blender while holding the two remaining sides. Pulse the blender 5-6 times to chop up the frozen bits. Blend on high for 40 seconds. Serves 2 (who am I kidding, I drink the whole thing. So should you). The best part: The frozen banana is almost undetectable in terms of flavor, smell, and texture. I mean if you get nose right down into the cup, you’ll detect banana; but that’s what straws are for. For people who really hate bananas. Today I joined people from all over the world in going out for a run in dedication to Meg Menzies, the woman in Hanover County, VA who was tradgically struck and killed by a drunk driver on Monday while out for a morning run with her husband. My heartfelt symphathies to her husband, three children, her family, and all her friends. As I went out on my run, I started thinking about some of the ways runners can try be more defensive in avoiding traffic incidents. Sometimes, caution is just not enough. By all accounts, Menzies was an experienced runner and doing everything ‘right’ in order to try to minimize her chances of being in an accident. Certainly, encouranging everyone to have the decency to not drive while intoxicated and to not text while driving helps us all. But there are some defensive steps runners can take to be safer. Most of these are pretty obvious, but if you’re new to running or have just always done your own thing (as I did for years), then maybe you might get something out of these. When possible, keep to the sidewalks. I know a lot of runners who complain that concrete gives them worse pain (often shin splints ) than running on more flexible asphalt. However, I strongly believe that discomfort from running on concrete can be largely offset by properly fit shoes and adopting good form running techniques. If you must run on the road, be sure to keep aware of the traffic. Sounds simple, but it’s easy to get lost in a song or a conversation and not hear a car until it’s too late. Incidentally, during my run earlier today, I had to go off the sidewalk an onto the road (in the direction of traffic, even) as there was a small flock of turkey vultures devouring a opossum in my way and I deemed it best to not try to hurdle them. However, after about 50 yards and as I heard a car approaching from behind, I jumped back in the grass. I’ve been part of running clubs in the past, but the large majority of my runs are alone. However, running in groups has its own kind of safety. The more ears and eyes, the more likely to notice a car. Just try to avoid running down a road two- or three- (or, in the case of Grove Avenue in Richmond, VA, up to four-) abreast. Leaving a runner out in the middle of a lane leaves them —as well as a vehicle— no where to go. As I run by myself a lot and as I’ve started running with a smartphone, I tend to listen to music or audiobooks while on a run. However, it’s important to not listen to music too loudly or use headphones that restrict your ability to hear your environment. Consider listening to audiobooks or podcasts instead of loud music, as these tend to present less of a wall of sound and you can often make out sounds around you much easier. 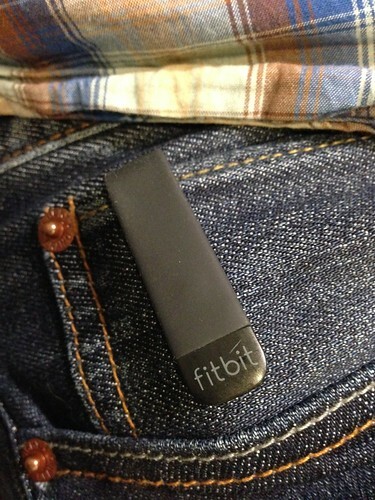 Consider getting a RoadID or at least keeping your driver’s license with you while you run. In the event of an accident, you want people to know who you are and who to contact someone on your behalf if necessary. 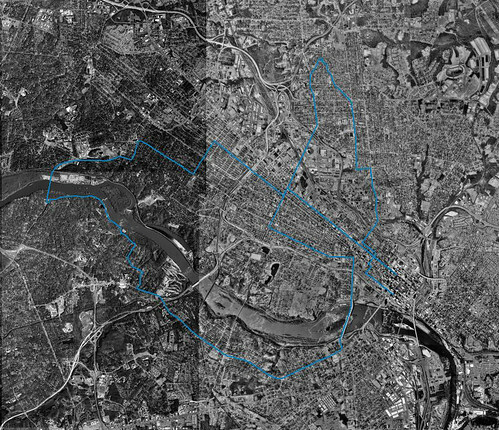 I mentioned running with my smartphone, on which I use a GPS app to track my runs. However, that GPS can also be used to help locate me and make sure I’m safe. My wife can user our shared iTunes account and a Find My iPhone app to make sure I’m still up & moving at any time. In other words, it’s like I’m LoJacked on my runs (and that’s a good thing). Be aware of your own self, as well. As you run, you get tired and/or get into the zone . Both can tend to put blinders on you, restricting your awareness to the path immediately ahead of you. This is also where having others can be of help, but it’s still important to acknowledge that just because you’re deep into the zen of your run, the world around you hasn’t really stopped. Lastly, but sure most importantly, please obey all laws and regulations regarding traffic and pedestrians. As frustrating as waiting on a light to change can be, traffic laws are there to keep you safe. Let’s face it, running out in a urban area isn’t the best place to set a PR. Save that for a race, where the course is closed to traffic and you can really focus on your run and only your run. If it helps you, a lot of current running apps have an auto pause feature which pauses recording if you stand (relatively) still for more than 30 seconds or so. I use this feature on the Nike Plus app on my iPhone and it alleviates that sense of urgency I might otherwise feel to dash out in between cars at a red light. If you want to read even more about staying safe while running, Runner’s World has a great long-form article titled Collision Course . And, please, whether your out for a run, on your bike, or behind the wheel, please be safe and aware. 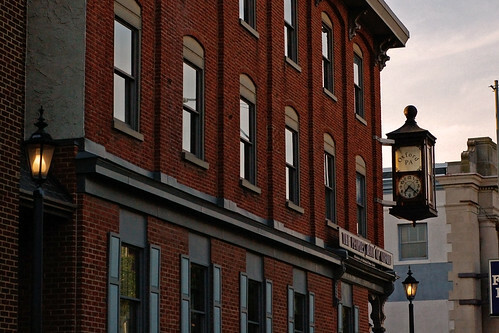 In this post, Jason and Angela spend Mother’s day in Pennsylvania with friends and Jason confirms yet again that he can snooze in adverse conditions. We spent more time hanging out and not so much time taking photos this weekend. However, I did like this clock I noticed in a small town on the drive through rural PA.
Angela and I drove up to PA over the weekend to visit our friends Sally, Chris, and Mason, whom we hadn’t seen since the last time they came to visit Richmond. Our only other trip up to see them was spent sight-seeing around Philadelphia, so this was a much more relaxed visit. By relaxed, I mean that we ran a 5k footrace on Saturday morning. Rather than just any old 5k, this was a one-time event being held on a yet-to-be-opened-to-traffic new bridge on the Pennsylvania Turnpike. Even better, this particular bridge was designed by the company Chris works for, Figg Engineering Group (of the Natchez Trace Parkway Arch Bridge, among many other high-profile bridges). The new Susquehanna River Bridge isn’t exactly Figg’s most spectacular design (this is the company whose motto is “Bridges as Art,” mind you) but it is still a large and attractive structure and the view for the entire race was great. Okay, it was a pretty sunny day on large river so even if the view was of Three Mile Island, you could still do a lot worse. We celebrated mother’s day by all going out to a nice Italian lunch yesterday. Angela’s 3/5 of the way to being a mom, so we figured this was her first un-official holiday for which she could celebrate. For the past couple of months, I’ve had a pain developing in my right hamstring. Angela and I figured it was due to some uneventful running injury but stretching and yoga didn’t really seem to be doing a lot for it. I finally got around to seeing a sports medicine doctor this morning and as it turns out, it may have nothing to do with my leg at all. I may have some sort of spinal disc issue which is simply sending incorrect signals of leg pain up to my brain (stupid nervous system). Anyway, I had a couple of x-ray images made this morning of my lower spine which didn’t really answer much. However, the doctor did point out that I have an odd sixth bone/lower vertebra at the base of my spine, at my sacrum (I’m hazarding a guess that you only have five lumbar vertebrae). This apparently is not a health concern, just a really odd thing. This is probably going to take a while for the doctor to go through. My spine feels very well documented now. Anyway, since the x-rays didn’t explain much regarding the soft disc tissue, I went for an MRI this afternoon. 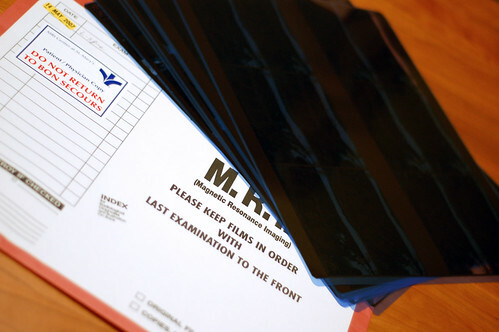 MRI’s take longer than an x-ray (a lot longer, as in about 30 minutes), if you didn’t know. Of course, this results in about 100 images as opposed to just a couple. Frankly, I could see how someone who was claustrophobic might get very upset at being in a similar machine. Frankly, I didn’t mind all that much being wrapped tightly in leftover parts form an jet-liner’s interior for that long. It’s loud and cramped, but I ended up falling asleep for almost the whole thing. I suspect that will remain the most expensive nap of my life for a long time to come. I feel just fine other than some mild pain in my leg. It’s not like I broke my wrist or have debilitating migraines. 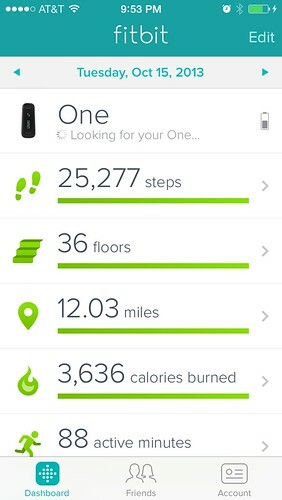 I came home this afternoon and mowed the lawn as well as ran a couple of miles on the treadmill (the doctor did ask me to limit running to softer surfaces for now). This is all just so he can get down to the bottom of where pain is coming from and then recommend what to do about it. Angela and I had a relaxing few days (mostly) at home over the past weekend. We spent most of the weekend at home, although Friday night we went to pick up our race numbers for the following morning’s 10k as well as hit the grocery store for the first time in weeks. We cleaned up the kitchen that evening as friends were coming over the next day. I guess most people don’t consider running 6.2 miles early on Saturday morning relaxing, but it really did feel that way. 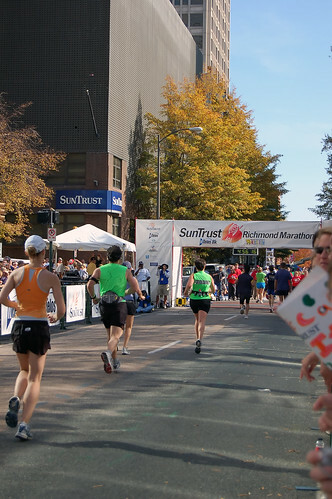 This weekend was the Monument Ave 10k, Richmond’s largest race, with about 25,000 entrants. Running the big races in Richmond is a lot of fun, as I’ve said many times before, because of all the crowds that come out. Saturday, with nearly perfect running weather, was no exception. Angela and I rode with our neighbor, Teri, down to the race, along with friends Meredizzle and Jess (who I dubbed "wing-nut" this weekend for no really good reason). We were running a little late, which ended up working out just perfectly. After rushing to get my bag checked in, I made it to the start line just about a minute before my coral started. I had a good race. Even though I was about five minutes over my best 10k time, I felt great after crossing the finish line. Probably a sign I could have pushed harder but also a sign I’m not that bad out of shape, either. That afternoon, a bunch of friends came over for lunch off the grill (hamburgers, mostly) as well as playing the Wii. We sat around talking and getting to know one another for quite a while (we have a number of friends who don’t yet know our other friends, like most everyone does). Unfortunately, this meant that not everyone got to play the Wii as much as we would have liked. Also, it meant that I didn’t get embarrassing photos of people playing Wario Ware. Sunday afternoon, we went to a baby shower for one of Angela’s co-workers held at yet another of her co-worker’s home. I have to say, if more baby showers were like this, I bet folks wouldn’t dread them so much, especially males. There was a keg of local micro-brew, great music, and good food. I had met the couple before and enjoyed getting to talk to them (well, actually, mostly him) more. The host, his girlfriend, and the rest of the guests (again, a lot of Angela’s new co-workers) were all lots of fun to talk with, as well. We love the people at Angela’s old job and miss them. However, it was great to know she’s again working with a bunch of nice folks who are fun to spend time with. Incidentally, having co-ed baby showers is probably much more common now. Not that dads-to-be didn’t have any interest in their children before, it’s just that now we don’t feel this need to hide it1. Reading some great sites online written by dads as well as talking with other current and soon-to-be dads has really done a lot for me, both in encouragement and in excitement. Anyway, Angela and I have agreed that having a dads-are-welcome baby shower is really the way to go. Of course, there was at least one mommy at the baby shower who seemed to be upset. "Why is he opening the presents?" Well, maybe because he has an interest in his daughter, too, just like she does. I’m going to a post-marathon party at some friends’ house tonight so we can all celebrate not dying last Saturday morning. Angela took some great photos of them, so I’ll Flickr ’em1 and have Target print them for me. At ¢20 for a 4″x6″ 2, combined with the fact that Target is only about 3/4″ of a mile from our house, it really beats trying to print them ourselves. For comparison, 4″x6″ photo paper goes for about ¢9 – ¢21 per sheet at Staples (which is, incidentally, just about six blocks from our house). Essentially, we use Web 2.0 to outsource our printing. How cool is it that we can do that? Anyway, here’s a couple of non-Angela shots from last Saturday. Just about every race with over a few hundred people (and some even that small) have professional photographers at them now who hope to sell you a photo of you running. I’ve bought a few, but they tend to be very expensive. That, plus, who doesn’t look like total crap when running that far? Oh yeah. If you don’t have the time or desire to read a fairly long post from me, let me give you the short & sweet: don’t try and run two marathons in two weeks time. More importantly, the next time you hear me talking about doing something like that, slap me and then make me read this first paragraph. So, I felt that I was able to recover from the MCM fairly quickly. I had a sports massage the day afterwards and within just three days of running, virtually all the soreness was gone. A week ago (Sunday evening), I went out and ran a fast five-miler and my legs felt good (other than chafing from the cold wind, but that’s easy to correct for). That evening, I made the decision to go ahead and run Richmond this year. Thursday evening, Angela and I went down to the James Center to pick up my race packet and our t-shirts1. I also got my Sportsbackers Training Team race singlet, which although I’d have preferred a t-shirt to prevent some of that nasty chafing I had during last year’s marathon, I figured I’d just put it over a thin t-shirt. The next day I picked up an iPod arm-band and sport headphones, both for cheap, so I could have that during the race if I felt like I needed some extra boost. I ate well and got to bed early that night, although I’d been a space-case at work all day and was glad just to be able to get ally things in order for the following morning. Angela dropped me off near the James Center (where the race finishes) so I could make it to get in the group photo for my team. I found a few friendly faces I hadn’t seen in over a month (since my training schedule had to be altered for an earlier race). I headed up to the start area and got my bag all checked in. That morning was great weather for a race, but we all knew it was going to get a lot warmer (the previous year we had to start in jackets and wearing gloves). I saw some more familiar faces in between the 4:00 and 4:30 pace2 groups that I decided to begin in and having some people to talk to always makes the race go by faster. 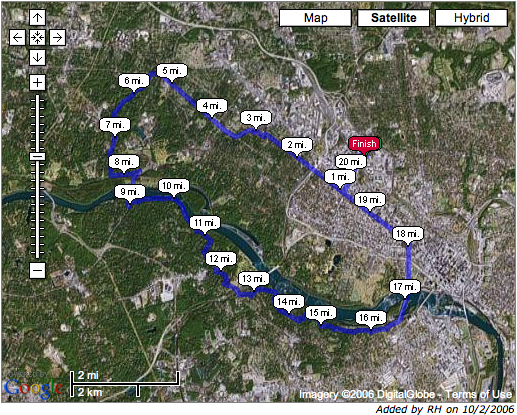 The course of the Richmond Marathon as recorded on my wristwatch GPS unit. Before long, we were all heading across the start line and down Broad Street. The first few miles of a race like this are so filled with anticipation and adrenaline that they go by very quickly. 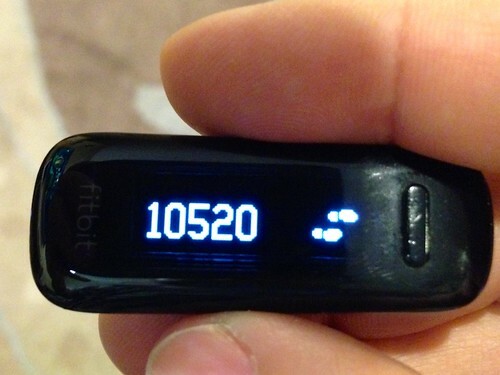 I remember looking at my Garmin every few seconds to force myself to a 10:00/mile pace. After a few miles, my pace becomes steady enough I don’t have to check so often, but in the excitement at the beginning, it’s too easy to run fast and burn out too early (not that it was going to make a lot of difference today). At around mile four, I came up on Angela who was taking photos with the D50 and cheering everyone on. I felt really good at that point and was so glad to see her. She was waving her "Go Jason" sign and rattling a noise maker, both of which she’d gotten at the expo. I stopped for just a few seconds to discuss where she’d be next on the course (Main and Boulevard). I headed on down the street, passing our friend Karen (who was acting as a course marshal). Karen’s the one who convinced Angela and me to sign up a couple of years ago for the training team, so it was good to see here out there as well. The training team coaches, many of whom had been acting as pacers for us, dropped off at mile five. That’s right about where my right foot started having some pain, just under my shoe laces. It’d happened at the MCM, just three miles later into that race. I decided I’d take some ibuprofen after the mile six water stop to deal with it, hoping my first energy gel would help to offset any nausea associated with ibuprofen on an empty stomach. Downhill on River Road to the first ‘party stop’ at the Starbucks and the first really large crowd since the starting line. It’s an amazing feeling for your neighbors to come out and cheer for you like some sort of rock star. While the crowds seemed a little thinner than last year, I appreciated all the people calling my name out. A little later in the race, one fellow runner asked me if I was the mayor or something because so many people kept shouting my name. I just pointed out that it was written in large letters across my (brightly colored) shirt. I caught up with some fellow team mates on Riverside Drive and kept up with them for quite a ways, until I stopped to stretch out my calf muscles on Forrest Hill Road. I was hoping to avoid the nasty muscle cramps I had gotten at the very end of last year’s marathon and that had plagued me during the last 10k of the MCM. Around the 14 mile mark, on Semmes Boulevard is where I (and apparently many others) began to feel the day getting warmer. I had put on my headphones at this point and could even notice the heat around my ears. 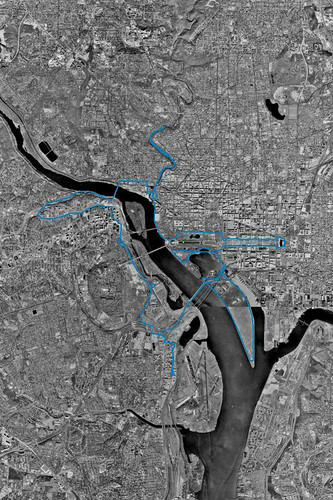 I had made the decision before the race to up my intake of energy gels to one every 30 minutes, but by the beginning of the Lee Bridge, just past mile 15, I could barely even get half of one down. Having the pain killers along with extra doses of energy gel (which is like cake frosting with the consistency of honey, if you’ve never had one) was beginning to make my stomach turn and the heat only made it worse. There’s almost no shade for nearly two miles while heading back north to Main Street, and that’s when I began to feel the sense of exhaustion that would beat me down for the next two-and-a-half hours. The smile’s not fake, but the look of running hard sure is. 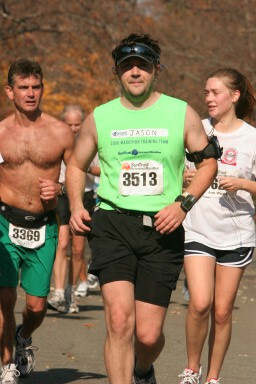 Glad to be able to ditch that t-shirt with Angela, I tried to recover from fatigue at mile 18, but it was short lived. I was having to stop and walk a block or so at every mile at 17, and Angela busted me in a couple of photos coming around on to the Boulevard. I was able to jog a few steps to fake it, but it was more of a joke on me than anything else. I was looking beat and I felt it. However, after running that far, you sure can’t just give up just because you see a pretty face cheering just for you. I stopped and stripped my t-shirt, stretched, and got a pep talk from Angela. We cheered some fellow runners together before I got back on the road up the Boulevard. I luckily grabbed a handful of pretzels from a guy on the sidelines a couple of blocks away and shoved them in my pocket. After all the sweet stuff all morning long, some salty pretzels were a perfect source of energy. I trudged on for a couple of more miles, finally catching up with one of the fellow teammates I’d ran with for three miles earlier that morning. "I had a plan." Ruben quipped, "But that got dashed today. So I’m just going to walk for a bit here and there. I’ll still get my same medal." "Well, if you don’t mind, I’ll just walk some with you." …and that’s just what Ruben and I, along with some other training team members we caught up to along the way, did for the last 10k of the race. Many of the team coaches were there along the last couple of miles, running along side people and cheering them on (and cheering them up, in many runners cases). As tired and lousy as I felt, the last half mile in Richmond is really awesome. You can see the finish line from quite a ways back and it is down Cary Street, which for those who don’t know, is quite a steep hill. I did my best to pick up some speed and finish as best as I could muster (having long since blown away my hopes of finishing under 4:30). My final time was 4:52:16. Heading to the finish line, and home. I could barely even keep standing after crossing the finish line. I found someone to remove my timing chip, hoping I wouldn’t ruin their day by vomiting on them. The volunteers at these events are likely to be blissfully unaware just how quickly they could regret their decision to help out. I got my medal placed around my neck and, while very proud of what I had just done, it really hit me all of a sudden just how different I felt from the previous two marathons. Rather, how I didn’t really feel nearly as much. The first race was filled with a sense of pride of accomplishment that I had really fulfilled a life goal. The second was a sense of awe and respect for my surroundings, fellow runners, and the Marines putting on the whole affair. I simply didn’t have the emotional investment in this race as much as I had previous ones, and that simply cannot be discounted. 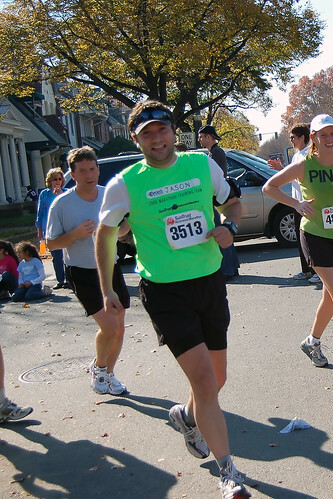 You’ll hear it time and time again: running a marathon is a mental effort as much as a physical one. I simply didn’t have the desire which gives me those little adrenaline rushes throughout a race that keeps me pushing on this time. Maybe just as much as the heat affected me, my heart just wasn’t into this one. Angela found me at the exit area for runners and walked me to get signed out (the training team keeps track of all their runners on every run). I grabbed a slice of pizza and once I got my bag back, changed shirts and shoes. Afterwards, it was home for a shower and a nap with the dogs. Angela took me to get a sports massage that evening and then out for a reward dinner at a local seafood and steak place. I can’t say that really did anything to earn any of that, other than just being bull-headed. However, it sure did make me feel nice. Having people in the city come out and cheer me on was great, but having Angela around during and after the race was even better.